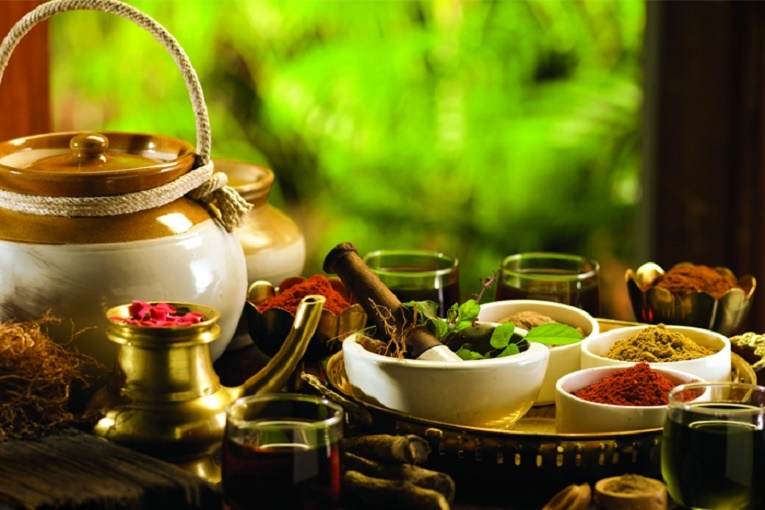 Panchakarma is an important part of ayurvedic treatment and consists of five therapeutic procedures. These five therapeutic measures or procedures are the processes and techniques of detoxification and Bio-Cleansing of the body at cellular levels. These procedures assist ayurvedic management to cure a disease from its root cause. The accumulated toxins are removed by these five major therapeutic panchakarma measures and body becomes light and the person feels ease from the ailments and comfort in the body and in the mind. The concept is based on the theory of accumulation of toxins inside the body. However, according to ayurveda, mind is also filled with some toxins, which causes mental ailments. Ayurveda and panchakarma therapies expand worldwide. Therefore, ruling out efficacy and safety become important concerns for all ayurvedic physicians and panchakarma therapists. However, ayurveda is safe in hands of panchakarma and ayurveda experts. There are possibilities that every science or healing system to have any adverse effects or after effects, so it is also true for panchakarma therapies, especially for classical panchakarma. However, the classical panchakarma has been seen less in practice nowadays, but it is crucial part of ayurvedic treatment. There are some contraindications of these classical panchakarma procedures and ignorance of these contraindication can cause adverse or after effects. In the current scenario, panchakarma is becoming famous due to its efficiency in various obstinate and chronic diseases. It can cure or treat or manage diseases and prevent their recurrence because panchakarma removes the main root causes, which are responsible for occurrence of a disease. According to ayurveda, the root causes are toxin accumulation in the body or toxins produces in the body due to metabolic activities. In the nutshell, panchakarma is safe when employed by skilled hands and in appropriate mode. Moreover, it is too effective than other alternative techniques and has own independent science that explains about its action in the body. There are just simple principles, which are main part of panchakarma therapy. In most of cases, all procedures of the panchakarma are safe and effective as compared to conventional treatment procedures and surgeries. In addition, panchakarma treat or manage the diseases better than all modality of health sciences. Indian physician has been using ayurveda and panchakarma techniques to heal or cure diseases since 5000 years. In current era, it is equally effective as it was in the ancient and medieval times. Antiquity of panchakarma is from Vedic period and you can find great information of panchakarma techniques in the Vedas. Ayurvedic massage is well famous all over the world and people are seeking for ayurvedic treatment due to frustrations from the side effects of the conventional medicines. Therefore, people are looking for natural measures or natural cures, which are abundant in ayurvedic science. Ayurveda believes more in the prevention of diseases than in the treatment of diseases after they occur. However, ayurveda also provides remedial treatment of diseases, but the prevention is more important. Some therapies are used in ayurveda for prevention of diseases and body detoxification, which also improve overall health. These therapies are called Prophylactic panchakarma. However, there is no difference between course of panchakarma treatment and therapies, but the purpose of use is different. Different panchakarma procedures have different benefits and indications. Using them for treating the specific disease is called therapeutic panchakarma. However, these divisions are not available in ayurvedic books, but we have divided according to the purpose of use and main purpose of the ayurvedic science. Unwise practice of Panchakarma can result in complications and failure of treatment. Therefore, Ancient ayurveda scholars have provided some rules for panchakarma practice. It includes do’s and don’ts, eligible person and ineligible person, pre and post therapeutic procedures and measures, methods, indications, contraindications, complications, management of complications etc. Before doing panchakarma, a complete health assessment is a crucial part, so therapist need to analyze the suitability & unsuitability, possible complication and after effects. Therapist should explain all things very clearly to the patient and his/her relatives. Therapist should also explain the patient why and how this procedure is important to the patient. What will be the benefits and what may be the side effects. Therapist should analyze if the patient is eligible for panchakarma therapy. He should perform a procedure with care to minimize the possible complications. Therapist should clearly explain to patient what he expects from him to follow before, during and after the procedure session and treatment course. A strict diet plan and lifestyle is required before, during and after performing panchakarma. Therefore, patient should know all these things before starting the treatment. Therapist should provide all dietary and lifestyle guidelines to patient in written for his convenience. Choose top quality medicine for panchakarma procedures. Maintain hygiene and clean rooms, instruments, table, pots, bowls etc. properly, which are required in the procedures. Patient should follow all the guidelines strictly as described by the ayurvedic doctor and panchakarma therapist. It will help preventing and minimizing the complications of classical panchakarma. Ask for dietary and lifestyle guidelines in written from the therapist or from the ayurvedic physician or panchakarma expert. Celebrate celibacy before, during and after procedures. Patient should use warm water for drinking and bathing during panchakarma treatment unless therapist does recommend anything else. Generally, complications occur when patient is not following the guidelines. Not taking medicines in way, which was explained by the panchakarma expert. What patient should not do before, during and after panchakarma? These rules imply on all types of panchakarma therapies. Patient should avoid all following things strictly before, during and after panchakarma. Do not sit for prolong period i.e. more than an hour. Do not stand on feet for prolong period i.e. more than an hour. Do not walk for prolong period i.e. more than a half an hour. Walking long distance is not suitable. Do not use pillows of unsuitable thickness or unusual height. Avoid driving cars on broken roads. Avoid sleeping in a day. Avoid speaking loudly and excessive laughing. Avoid excessive direct sun exposure. Do not suppress natural urges. Holding stools or urine is strictly prohibited. Stay calm and have a good control on mind. Do not become angry and avoid mental stress. Avoid taking cold foods such as ice cream, cold milk, cold yogurt etc. Avoid sour foods with milk. Avoid eating incompatible foods together. Avoid all junk, frozen, fast or restaurant foods. Do not take foods in unusual time. May use word Biocleansing instead of purification as body is dynamic it can not be purified. There is constant generation of excretory material. As long as we are living, Production goes on till Death. Removing Unwanted at Body, Mind & Soul level by One Tested! & Trusted! is ‘P’ Chikitsa -Not reached full Potential Yet ! Exploration is an Eternal Process.